Site aliases are helpful if you move content to a new domain, change domain names or simply want to make sure that http://example.com and http://www.example.com take users to the same place. 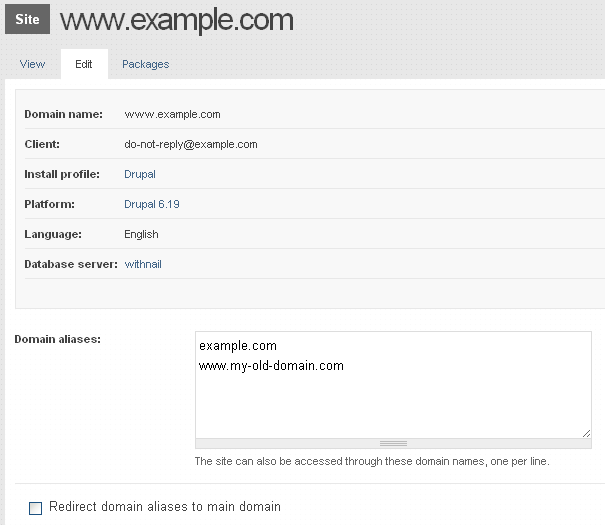 You can implement site aliases with or without redirection. The differences between these two methods and how Aegir handles them is described below. 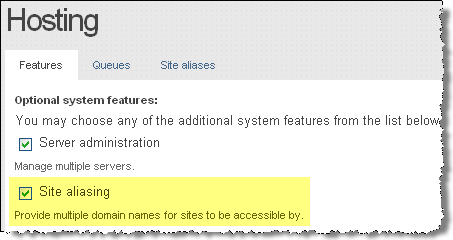 After you have enabled the site aliasing feature in Aegir you can navigate to aegir.example.com/admin/hosting/aliases (see the menu item that is added under Hosting in the admin menu bar). 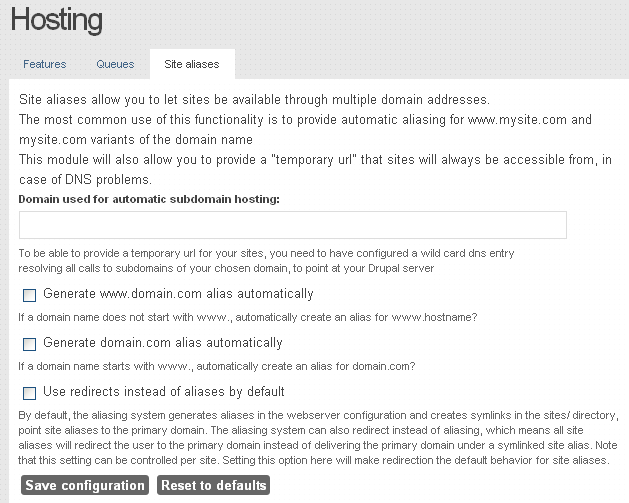 Here you can set default site alias settings for all of your Aegir-hosted sites. You can override the global settings for aliasing by configuring site-specific alias settings either when you create the site or later by editing the site settings. For users, one of the main differences that occurs when redirection is turned on is that the URL that they enter in the browser address bar changes. This reflects what the server is doing, which is in effect to redirect the request to the same site under the main URL, as opposed to serving the same site from under an alias. The symlinks are not required in this case.